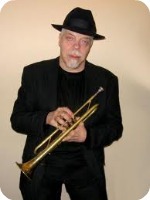 It is known in jazz circles, particularly in New York City, that the trumpeter, composer, bandleader and teacher John McNeil maintains his career through the onslaught of a disease that has the potential to disable him. A lengthy profile of McNeil by journalist, educator and pianist Ben Waltzer gives insight into the disorder McNeil inherited and how he battles and accommodates its depredations. The piece, “John McNeil’s Backbone,” is on Waltzer’s blog, A Hundred Tacks. Here is an excerpt. Typically droll and self-deprecating, McNeil reaches for humor, often of the dark sort, whenever possible. (Recovering in the hospital recently from a staph infection that only a single type of antibiotic could kill, he said, “It’s showing signs of becoming totally drug resistant, at which point it’ll be like the 19th century, like, ‘Bye. '”) But beneath his conviviality lurk strains of disharmony. McNeil is struggling. He always has. Rediscovery, his latest recording, doesn’t show it. New York Times critic Ben Ratliff called his recent playing “astonishing in its harmonic acuity.” This wasn’t always the case, and not for lack of talent or skill. McNeil has Charcot-Marie-Tooth disease, a painful genetic disorder of the peripheral nerves that affects muscle control. to quit playing altogether several times since he came on the jazz scene in the mid-1970s. At times, he’s had to use a laundry rack to support his trumpet while practicing. He had a dental bridge built to refocus his embouchure. He learned to play with his left hand, to give him an alternative when his right hand won’t cooperate. And in an art that prizes timing, the degeneration of his reflexes has demanded he play slightly early so the notes arrive on time. Now, his performing career is on the upswing again. But he remains on guard, because as long as he can remember, his body and his soul have been enemies. To read all of Waltzer’s McNeil profile, go here. Since publication of the piece, McNeil and tenor saxophonist Bill McHenry have released a successor CD to Rediscovery. Rifftides reviewed Chill Morn He Climb Jenny in December. To read the review, click here. In case you missed it when we posted it in October, here’s a live version of one of the tunes the McNeil-McHenry quartet included in that album recalling west coast jazz. It’s a popular song from 1945 that Gerry Mulligan and Chet Baker recorded in the early 1950s.